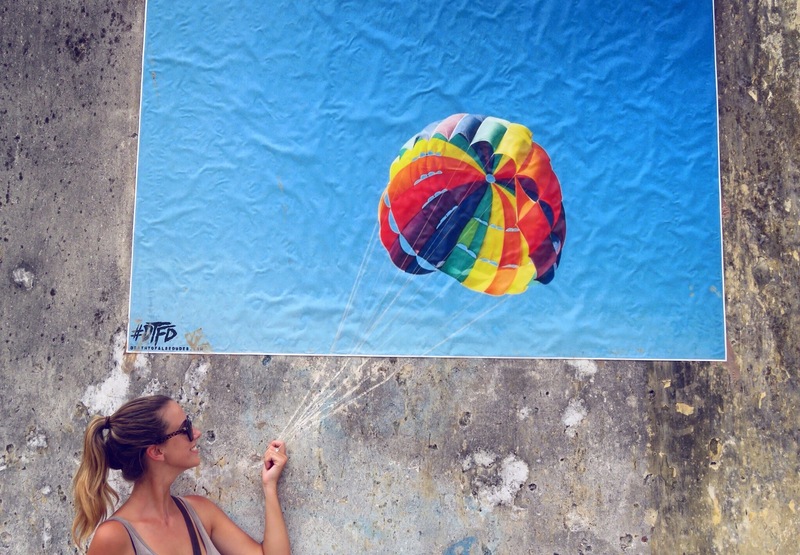 After three blissful, sun soaked weeks in Bali, we begrudgingly got on a plane and flew to Malaysia. It wasn’t that we didn’t want to go to Malaysia, it was just that we didn’t want to leave Bali! I had fallen in love and three weeks had flown by way too fast. 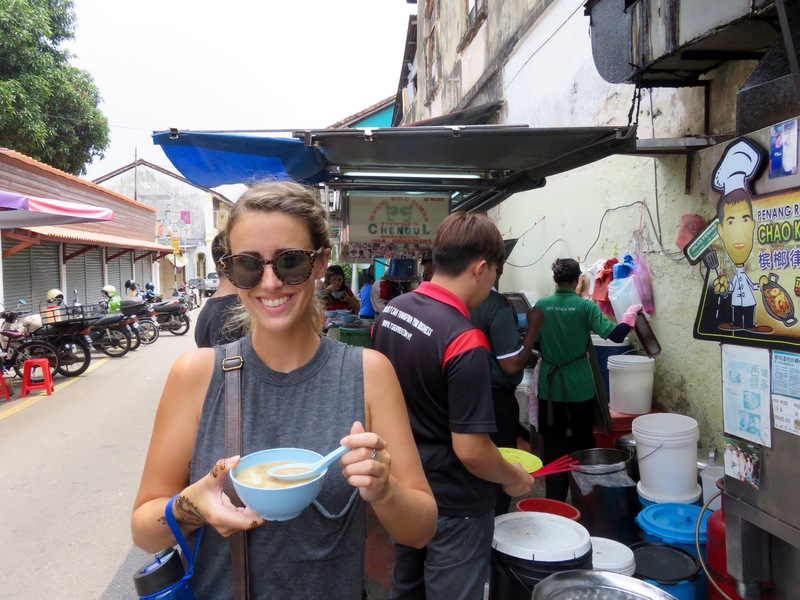 Our first stop in Malaysia was Langkawi. We pictured ourselves relaxing on the beach by the bright blue water for the next seven days. Unfortunately, I’m not sure if it was because of the weather (cloudy/ rainy), but our expectations of Langkawi were way off. The beaches weren’t beautiful like the pictures, the oceans were full of jet skis and parasailing people and the town was…well, just really boring to put it politely. 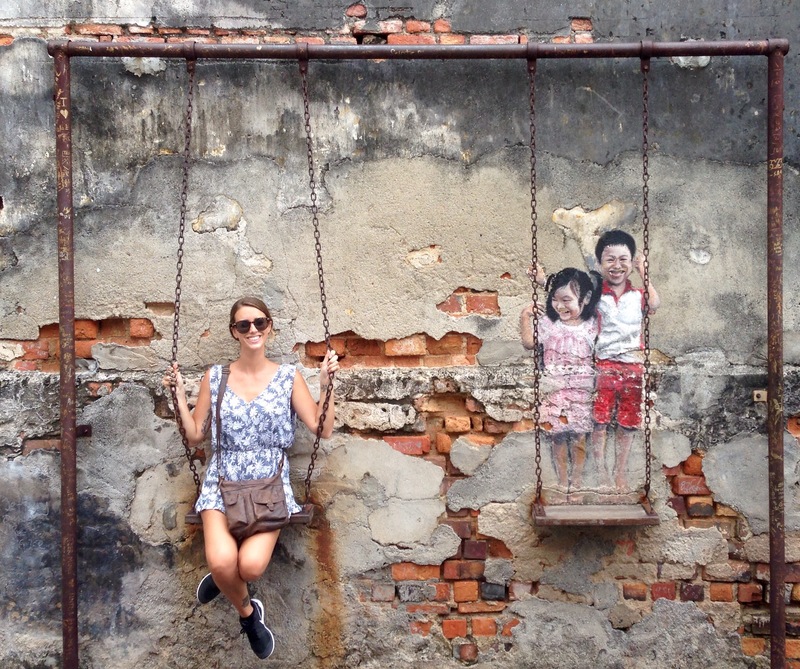 After two days we made the (best) decision to jump on a 30 minute flight to the capital of Penang, George town. To be completely honest I had no idea Georgetown even existed until two friends of ours went there a few months ago. I still didn’t know a whole lot about it I was willing to give it a chance, and oh am I glad we did! 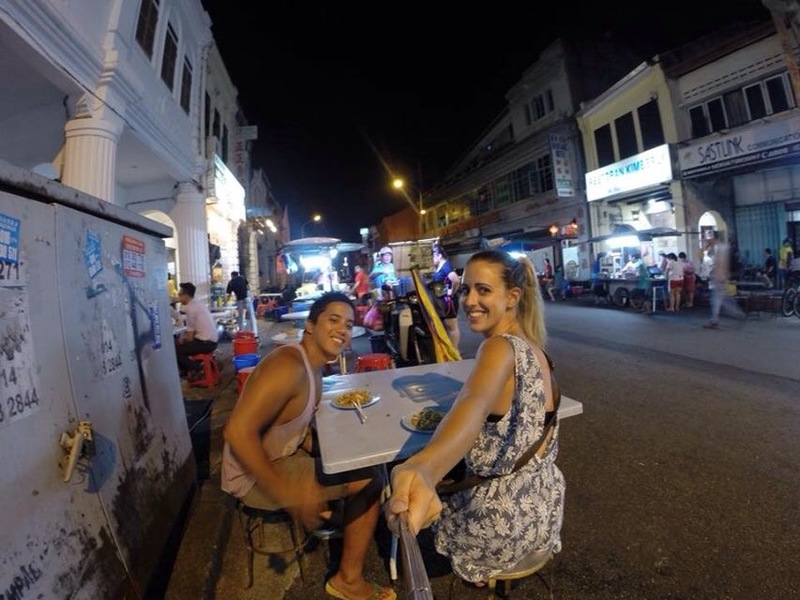 George Town is the food capital of Malaysia. Hawkers (food stalls) line the streets in the late afternoon/ night and this is where you are going to find the most delicious food at an excellent price! It is so stiflingly hot during the day that most of the town doesn’t really come to life until around 5pm when the weather becomes more bearable. 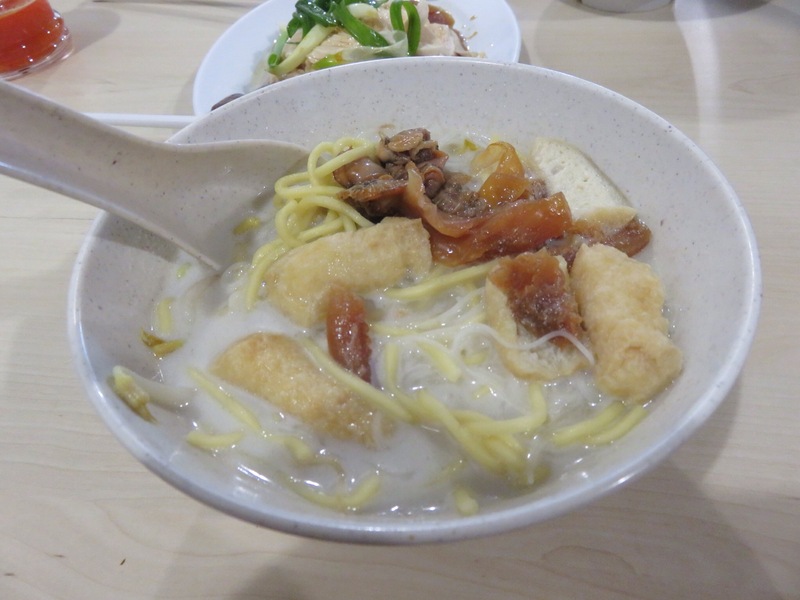 We did our research and chose the most popular dishes that we wanted to try and we read some reviews and food blogs to find out where the best/safest hawker stalls were to get these dishes. I’m all for trying new things and eating street food but I sure don’t want to end up with food poisoning later so chose wisely! 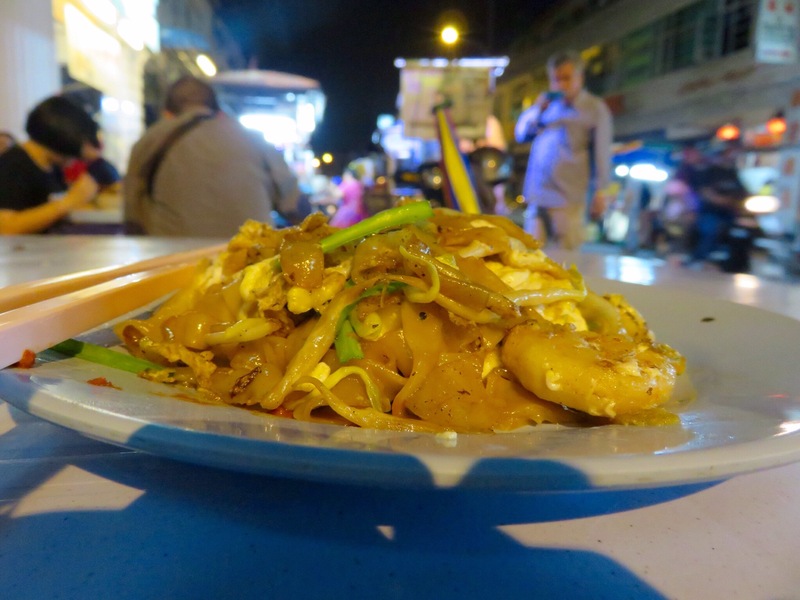 The first one we tried was a dish called Char koay teow which is a delicious, garlicky, flat noodle dish with chilli, prawns and cockles (a type of clam). The hotter the wok, the better the taste! We got it from a stall on Kimberly street which has been operating since 1954. They have tables literally on the street which gave us a whole new meaning of ‘street food’. 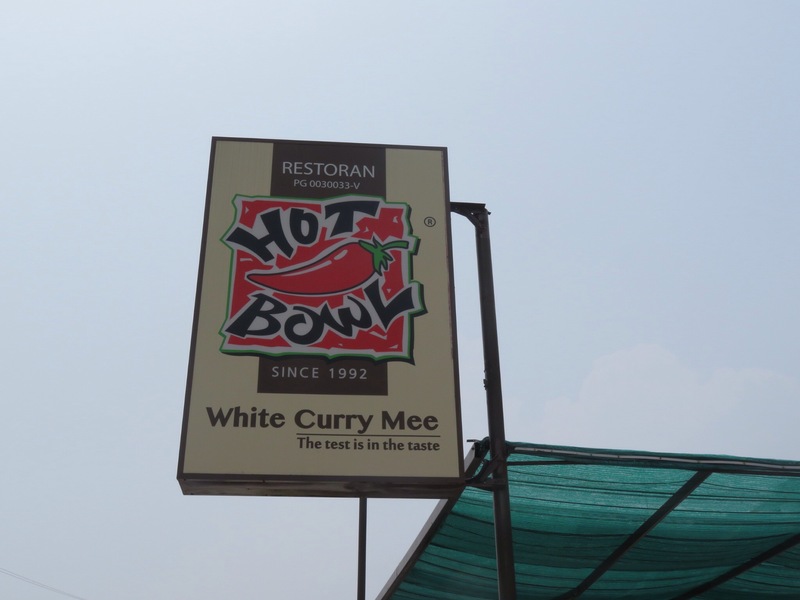 The next dish was called White curry mee. The best way to explain this is a Laksa. 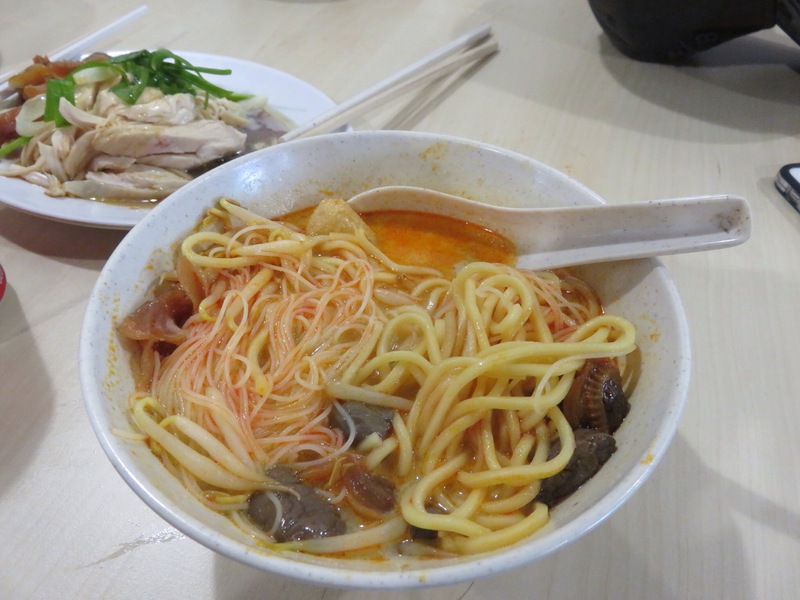 Penang has it’s own type of Laksa with a fish based broth but the White curry mee is similar to a Laksa you would find in the Western world. The best part about it is as the name suggests, it’s served white. You get to add your own chilli paste so you can have it as spicy as you want! It was perfect for me as I can’t handle my spice very well. The dish included coconut milk, noodles, bean sprouts, cockles and coagulated ducks blood (I took that out of mine, I wasn’t game enough to try it!) We got this from a place called Hot bowl. It was a bit tricky to find but it was well worth the search. Lastly, it was time for dessert! This is possibly the strangest dessert I have ever eaten but I really liked it. This dish is called Cendol. 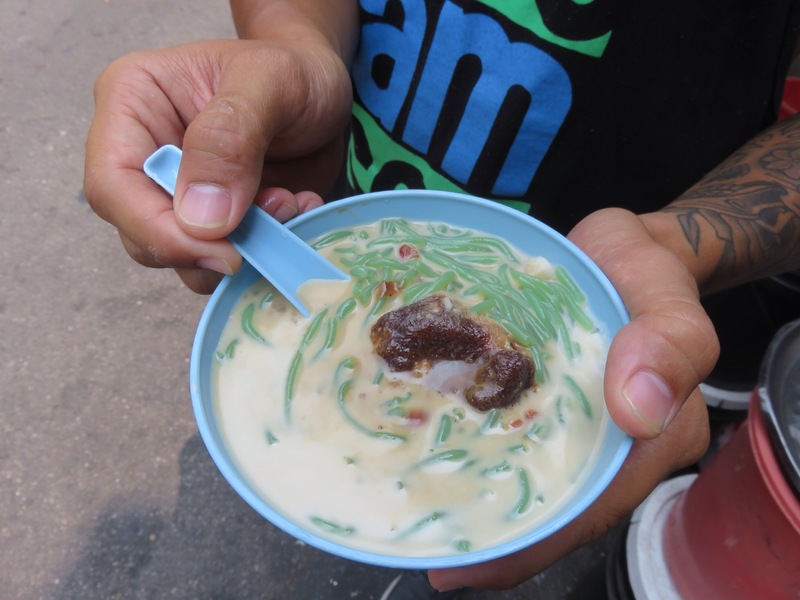 It is made up of green, jelly-like noodles made from rice flour and a local herb called pandan, palm sugar, red beans, shaved ice and coconut milk. It was strange, sweet and refreshing. We got this from a stall called Joo Hooi cafe. This place was always busy and I can see why! Every single dish we ate over the four days, wether it was from a stall or a restaurant was outrageously tasty. Another place you should definitely try if you go there is an awesome Chinese restaurant called Teksen. 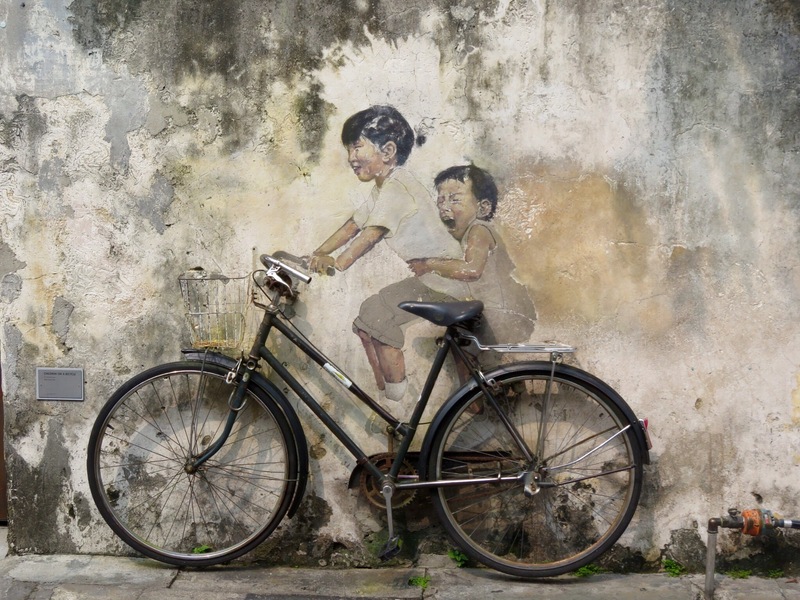 Aside from the food, George Town has beautiful characteristics and a certain charm to it. This place has not been westernised, I really felt like I was in Asia. It has also been named a UNESCO world heritage site. There are plenty of activities to do, temples to visit and things to see while you are here. 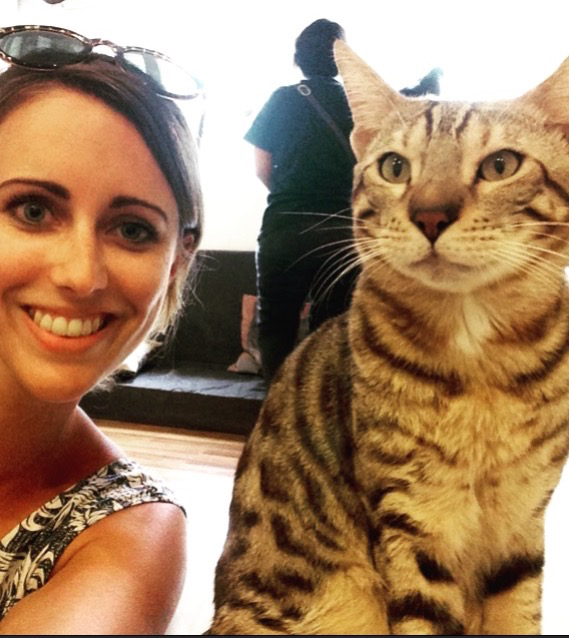 We even went to a cat cafe! Coffee and cats to cuddle, what more could you want? 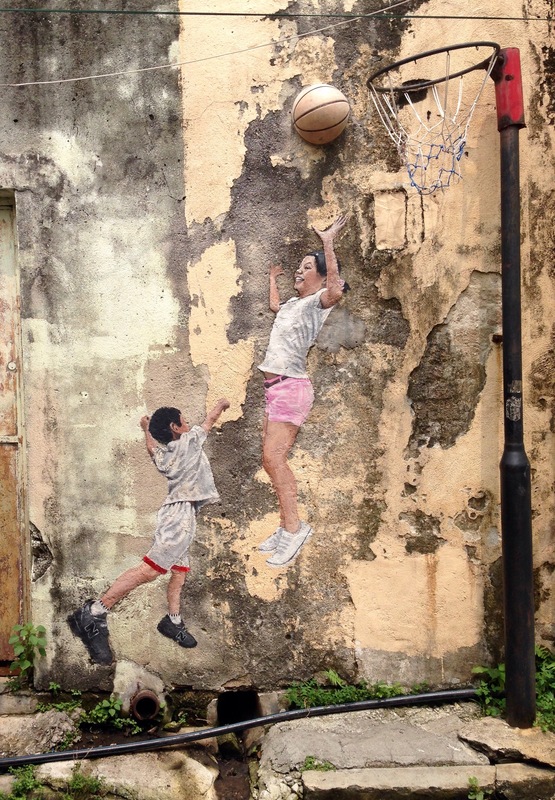 Another interesting thing about George Town is that in 2012, an artist was hired to paint Muriel’s in the streets to make them more interesting and to reflect Penang’s history and culture. They are hidden all around the streets and involved objects in them such and bikes and basketball hoops to name a few. The paintings are outstanding and it feels like a treasure hunt, roaming around the streets trying to spot the different paintings. 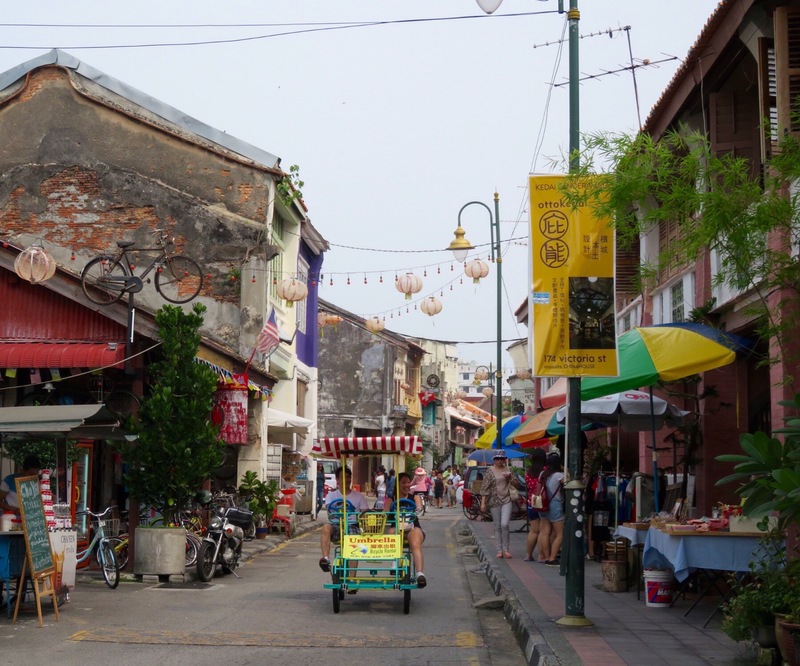 Today, George Town came in at number 4 in Lonely planets top 10 best cities to visit in the world and its not hard to see why. If you haven’t already, add this place to your list! Looks like a great trip! Love your photos too!